O’Sensei Ngo Dong founded Cuong Nhu Oriental Martial Arts in 1965 in Hue, Vietnam. To build a strong moral and spiritual foundation for his style, O’Sensei Dong interjected his personal philosophy of self-improvement, community service, and love and respect for others. In Vietnam, Cuong Nhu was more than just another form of martial art. It provided an ideological touchstone for its students, young people who had grown up in a sadly disjointed, war-torn society that was hard-pressed to meet their spiritual needs. O’Sensei Dong taught martial art techniques to help his students build themselves up physically, improve themselves, and personally pursue goals and serve society. As a child, O’Sensei Dong learned vovinam from his brother, Ngo Quoc Phong, one of the top five students of vovinam’s founder, Grandmaster Nguyen Loc. Grandmaster Dong also learned Wing Chun from his two oldest brothers, who studied with Chinese Master Te Kong. 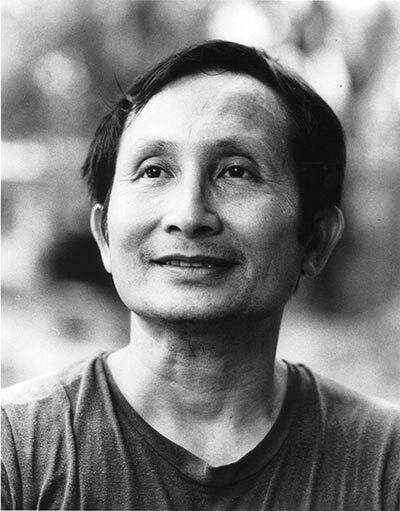 Although their father, Ngo Khanh Thuc, was then attorney general of northern Vietnam, the Ngo brothers tested their fighting skills on the street by engaging hustlers and professional street fighters inhabiting the alleys and back streets of Hanoi. After moving south to Hue, Vietnam in 1956, O’Sensei Dong began shotokan karate training under a former Japanese captain, Choji Suzuki. After years of fanatical training, O’Sensei Dong earned his fourth degree black belt. He also studied judo and earned a black belt in that system. Later, O’Sensei Dong studied with American Marine Lt. Ernie Cates, a judo and goshin jujitsu instructor who had been in the first U.S. Olympic judo trials. 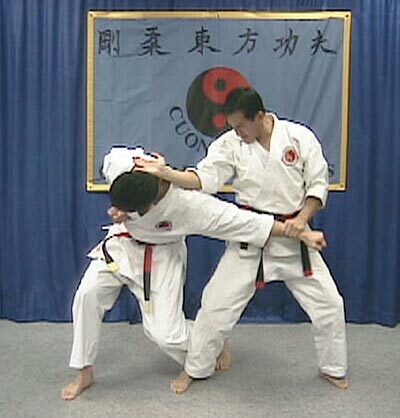 Through Master Cates’ instruction, O’Sensei Dong began to better understand the spiritual side to the martial arts. He shared training techniques with Master Cates and eventually combined his broad martial arts knowledge into his own style, Cuong Nhu, which means “hard-soft” in Vietnamese. O’Sensei Dong devoted his life to the development of Cuong Nhu and to the personal growth of thousands of students. In the tradition of early martial arts masters, O’Sensei Dong was a civic leader, as well as a scientist and author. He earned two degrees, in biology and chemistry, in Vietnam and served as professor of biology at the University of Hue from 1961 to 1971. After the devastating 1968 Tet offensive, O’Sensei Dong organized a civil defense organization, the People’s Self-Defense Forces of Hue, to help protect the public from the random violence spawned by the war. His organization engaged some 25,000 people in a program of karate, games and friendly competition to rebuild morale and spirit. In 1971, he traveled to the United States to pursue a Ph.D. in entomology at the University of Florida. In September 1971, during his post-graduate studies, O’Sensei Dong opened the first Cuong Nhu Karate club in the United States. Within two years it grew into the largest intramural organization on campus. In the spring of 1973, the Cuong Nhu Karate Association, with a permanent board of directors, was incorporated to ensure continuity and uniformly high standards of instruction. O’Sensei Dong earned his doctorate in three years and returned to Vietnam in 1974. He was then appointed president of Da Nang College. An outspoken opponent of communism, O’Sensei Dong was placed under house arrest by the communist government of Vietnam in 1975. He and his family later took the tremendous risk of escaping by boat to Indonesia. They finally arrived in the United States in November 1977, on homecoming day at the University of Florida. O’Sensei Dong is president of the Cuong Nhu Oriental Martial Arts Association, an international organization that oversees the development of Cuong Nhu. In Vietnam he published books on subjects ranging from martial arts philosophy and technique to flower arrangement. O’Sensei Dong was also an accomplished runner. He discovered the joys of running in 1986 and soon completed his first two marathons, which he ran on consecutive weekends. His first ultra-marathon was the 100-mile Western States run in Squaw Valley, Calif. He completed 23 marathons, eight 50-mile ultra-marathons and fourteen 100-mile ultra-marathons. During a special ceremony at the May 1994 Training Camp, O’Sensei Dong was promoted to 6th degree in Judo. Sensei Ed Szrejter, Executive Director of the U.S. Judo Association made the presentation. O’Sensei Dong is the 47th Judoka among the USJA’s 20,000 members to reach 6th dan. We were also privileged to share in the promotion of Sensei Ernie Cates to 7th degree. O’Sensei Dong retired from the University of Florida on August 18, 1994. He was awarded with dual proclamations from the City of Gainesville and Alachua County, Florida, declaring August 14, 1994 as Dr. Ngo Dong Day. Reprinted with permission of the author from the Cuong Nhu Oriental Martial Arts Instruction Manual. On May 15, 2000, O’Sensei Ngo Dong passed peacefully on from this life. Three sons, a daughter and seven grandchildren survive him. His many Cuong Nhu students are all deeply touched by his spirit and honored to have shared in his life. Cuong Nhu is now led by his sons Grandmaster Quynh and Master Bao, with Masters Anh and Thu advising them.